Life in the past was often “poor, nasty, brutish and short”, according to English philosopher Thomas Hobbes. Numerous advancements in medical technology over the past half a century have allowed life to be artificially prolonged. This was painfully apparent in the case of Alfie Evans. He was born, a baby like any other, but soon made headlines in the UK. A few months after his birth, he was admitted to hospital after suffering seizures and subsequently diagnosed with a degenerative neurological condition. This soon marked the start of a year-long legal battle between Alder Hey Children’s hospital and Alfie’s parents. The pertinent issue was deciding on the best course of action for Alfie, viz, whether it was in Alfie’s best interest to have life support withdrawn. In this piece, we first examine the ‘substituted judgment’ test (often invoked as a guide for decision making when a patient lacks decision making capacity) used by the UK courts. We argue that the ‘substituted judgment’ test used in Alfie is flawed, a mere piece of legal fiction that justifies the court’s decision in such cases when the court is in no better position than the doctors or the parents to make such a call. From this, we argue that such cases, as far as possible, should be settled outside of court given that the adversarial court process and binary outcomes is not the best place to deal with issues of such nature and complexity. Instead, better communication of treatment options, and advancements in palliative medicine may help parents placed in such an unfortunate position make the difficult decision, eliminating the need for judicial intervention, except in extreme cases where the relationship between the hospital authorities and parents have deteriorated to the point where no progress can be made in making decisions in the best interest of the child. The protection of one’s interests is a common theme in law. It was what Justice Hayden sought to do in Alder Hey Children’s NHS Foundation Trust v Thomas Evans (Alfie Evans). After considering the vast quantity of medical evidence tendered, Hayden ordered Alfie to be taken off life support. He concluded that it was in his best interest to do so. The judge’s decision about whether to initiate or terminate life-support in Alfie’s case was examined from the assumed viewpoint of Alfie himself. It underscores the fact that the welfare of the child is central to the jurisprudence underlying this difficult area of law in the UK. 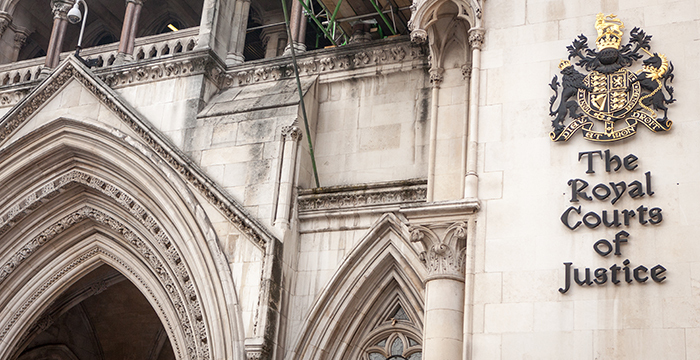 We argue that the substituted judgment test employed by the UK courts is fundamentally flawed. How can a court (a) place itself in the shoes of the child patient and (b) decide that dying is preferable to living (with its attendant sufferings), in so concluding that this is done in the best interests of the child? We draw this from the reasoning employed by courts in wrongful birth cases in tort. Justice Keating advanced this powerful argument in Williams v State of New York. The case concerned a woman born out of wedlock when her mother was raped by a fellow patient at a mental hospital. Subsequently, she brought a suit against the state, claiming damages for her “wrongful birth”. Keating denied the claim. He pointed out that “tortious damages are awarded on the basis of a comparison between the position the plaintiff would have been in had the [tortfeasor] not committed the acts causing injury”. In concluding, he held that awarding damages would be impossible as it would entail a “determination as to whether non-existence or non-life is preferable to life as an illegitimate with all the hardship attendant thereon”. This is similar (if not identical) to the decision courts are forced to make when adjudicating in cases such as Alfie Evans. Confronted with an impasse between the hospital and the parents, courts then have to decide if death is the best choice for the child vis-à-vis being kept alive by a machine. Simply put, disguised in the veneer of “best interests”, the court essentially decides on behalf of the child whether a state of “non-existence or non-life” is preferable to life connected to a ventilator with all “the hardship attendant thereon”. As Keating pointed out, this is an impossible choice. It boils down to a simple reason; how can a state of non-existence be possibly compared to one of existence? A fortiori, this idea of deciding “in the best interests” of the child is merely a disguise for the difficult decision that the court should never have been called upon to make in the first place. To illustrate the impossibility and arbitrary nature of such a choice, we now turn to examine the case of Portsmouth NHS Trust v Wyatt. Charlotte Wyatt was in the same position that Alfie found himself in. She was born, three months early and beset with a whole host of medical problems. The hospital approached the court, seeking a declaration that it would be lawful to withhold artificial ventilation should she need to be resuscitated again. Her parents opposed the application. Unfortunately, Hedley granted it. Just a few months later, Hedley was asked to reverse his decision as Charlotte’s condition was improving. He would reverse his decision many more times before the legal saga ended. Miraculously, at the end of it all, Charlotte was “reportedly out of hospital… and living in foster care where she was learning to walk”. The endless difficulties faced by Hedley in adjudicating the case demonstrated that court mechanisms are not suited at all to deal with the complexities of medical life-and-death scenarios. Condemned to die, Charlotte somehow managed to pull through, defying both her doctors and the courts. Ultimately, it remains a perennial question — who should have the final say over the best interests of the child? In the case of Alfie Evans, there was much public outcry over the court’s decision. It demonstrates public perception that Alfie’s parents had his best interests, rather than the court. The persistent effort by his parents granted Alfie a 23-month Italian citizenship to receive treatment in a Roman hospital. This was a testament to the fact that his parents believed and tried every avenue to help Alfie live. However, treatment for Alfie never materialised due to the Supreme Court’s decision. In the words of Alfie’s father, it was as if the “hospital gave up on Alfie”. Judicial intervention should be a last resort, when there is an intractable impasse between the parties that necessitates judicial intervention. Dying, is a social process — families and loved ones require time to come to terms with their loss and space to grieve. Litigation deprives them of the chance to do so. In this regard, palliative care and counselling services are arguably the better option as opposed to litigation. It is far better for healthcare providers to work closely with the parents in such cases so that disagreements necessitating judicial intervention may be avoided and the best outcome achieved for all parties involved. All three authors are students at Singapore Management University. Soh Kian Peng and Christie Ann Wee study law, while Tay Hong Yi is reading politics, law and economics. The authors raise a question, but go nowhere near answering it. In the event of an impasse between doctors and relatives, who should decide the right path, if not a court? I would also ask them this. Whoever arbitrates in a case of this nature, what test should they use, if not what is in the patient’s best interests? Coming next week: article from students at Buenos Aires School for Catering on the most contentious terms of a share purchase agreement. Don’t trash the school. Law school in Singapore is more selective than most of the Russell Group barring oxbridge. Hundreds of Singaporeans come over to the UK because they didn’t make the cut for Singapore law school. Say three students who don’t know enough about the judiciary or medical issues. Send us a link to your published articles, so we can all critique them. He’s not the one claiming the system should change, bro. I’m not sure an article on Legal Cheek counts as a published article. Cats qualify for that. Actual cats. Anonymous @11:10 is spot on. In addition, you repeatedly assert that in these cases, the court is deciding whether or not death is in the child’s best interests. That is wrong. What the courts are actually deciding is whether or not the proposed treatment is in the best interests of the child. The courts have repeatedly stated that these are fundamentally different questions. Now you could argue that in reality these are the same question, and the courts are maintaining a legal fiction by stating otherwise. But if you’re going to make that argument, I think you have to engage with the clear jurisprudence which says otherwise, and state more precisely why it is wrong. Obvs it should be the court of public opinion, conducted by Twitter poll and only those with 1000 or more YouTube subscribers are entitled to vote. That ought to rightly keep those educated and experienced independent judges out of it. Students soon to realise that only a small number of cases are subjected to court intervention when compared to extremely large number of NHS treatments taking place on a daily basis. The desire for settling out of court as they have expressed a desire for remains a possibility in the current system. They need to appreciate the opposing parties have trenchant polarised views that cannot ewaxh a compromise by that stage. They will look back at this article after 10 years PQE and laugh at what their naive student selves wrote. Prime Minister Jeremy Corbyn will raises taxes to solve this problem! A windfall tax on City greed! Even that train wreck Theresa May remains a better option than Corbyn. That’s a little like expressing a preference for being stabbed to death rather than being strangled. It’s a choice in the good ol’ State of Tennessee…. Lethal ‘jection or ‘lectric chair! Mate, serve a trigger warning so they can enter a safe space before you post real world experience. It’s going to take several soy lattes and avocado brunches for them to recover. displays a concerning level of ignorance. If the authors had bothered to read any of the judgments stemming from these types of application, they would realise that their first question is answered, and that their second question never arises. Quite. It is hard to be constructive in criticism when the basic principles of best interests are completely absent from this essay. They are easily found with a 10-second google search. It’s instead dismissed as a ‘veneer’ (as though there is some dark, evil force at work) – an astonishing level of ignorance and/or arrogance. I’m also fearful that it could have the effect of compounding the damage already done by similarly ill-informed tabloid journalism that refers to the CoP as a secretive and shadowy court where babies are killed behind closed doors. This kind of ignorance-based pontification is not only grossly misleading, but also likely incredibly damaging. For the sake of balance, can we perhaps look forward to a factual piece that sets out the visionary and empowering nature of mental capacity law in the UK since the introduction of the Mental Capacity Act? Wait a minute. Your saying that once the court decides a child should die, that they then don’t immediately decimate the child’s life after ruling? Nobody said that. You just invented that. Well done you. This is a shockingly inaccurate and ill-informed piece of writing. A substituted judgment test is *not* the same thing as a judicial determination of best interests, although both may lead to the same outcome, and a best interests test may well have an element of substituted judgment in it, as in s4 of the Mental Capacity Act 2005. This is a fundamental error in the writers’ analysis. Also egregiously bad is their failure to explain that the Vatican hospital was only offering further palliative care, not treatment for Alfie’s incurable neurological disease. Add to that the failure to mention the role of right-to-life and religiously-motivated activism in the appeals from Hayden J’s decision, and the whipping-up of populist support for their case. Matteo Salvini, not as well-known to the British public then as he is now, was instrumental in seeking to obtain Italian citizenship for Alfie. The writers do not even consider the artificiality of this gesture, its political motivation in Italy, or the disrespect it shows for thw sovereignty of the English courts. I honestly thought Legal Cheek was better than this! I deduce that this must be your first visit to these pages. No, I look at LC quite regularly, and find the puerile point-scoring in many of the comments pretty dreadful, but I thought the site was trying to improve the quality of its content on legal issues. I know this is written by students, and the rubric asks for constructive comments, but it’s just embarrassingly bad. It would have been kinder to the students for LC not to publish it. These Singaporean kids got schooled hard by the comments on here, accept it with poise.